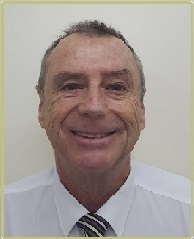 Geoff Purvey graduated from the Queensland University of Technology, with honors, in early 2008 and was admitted to the Queensland Supreme Court in December 2008. Geoff practiced law in Queensland with a boutique law firm gaining experience in general litigation as well gaining valuable experience with appearances on a variety of matters in the Supreme, District and Magistrates courts. Geoff also appeared at number of tribunals including the Queensland Civil and Administrative Tribunal and The Social Security Tribunal. Geoff joined Young & Williams in 2012 and was admitted to the Supreme Court of Papua New Guinea in 2013. Since admission he has appeared before the Supreme and National Courts on numerous occasions on matters such as Election Petitions, Judicial Reviews, Criminal and Civil matters as well as the Court of Appeal. Geoff is a keen sports fan (passive these days) and is life member of the Miami Beach Surf Lifesaving Club in Queensland. He is also a big fan of both codes of Rugby and Cricket. Geoff is married with three adult children. Phillip Tabuchi was admitted to practice law in Papua New Guinea in 2010 and commenced employment with Young & Williams Lawyers in 2011. Phillip is actively involved in both civil and criminal litigation that the firm undertakes. He works under the direct guidance and supervision of the Managing Partner, Gregory J. Sheppard, OBE, CSM and also works with and reports to the other partners when required. Phillip is a litigator and appears at all Court levels, regularly appearing in the National and Supreme Courts of Papua New Guinea in both interlocutory matters and in trials. He also draws necessary pleadings. He has appeared before, understands and has a working knowledge of Leadership Tribunals, Administrative Appeals Panels and Commissions of Inquiry. Phillip is familiar with and has experience on a range of matters involving constitutional law, administrative and public law, telecommunications law, company and contract law, election petitions and election related law, natural resources law, legislative drafting and criminal law. He has also instructed and appeared with overseas Counsel, including Queen’s Counsel and Senior Counsel in the higher Courts in matters involving complex litigation. 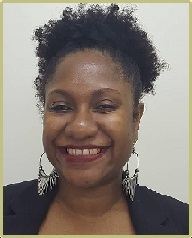 Gloria Salika was admitted to practice in Papua New Guinea in 2007 and commenced employment with Young & Williams in 2008. Gloria regularly appears in the National and Supreme Court in appeals, judicial reviews, interlocutory matters, and in trials. She also draws necessary pleadings, advice and opinions. She has litigation experience in areas of contract law, employment and company law, family and matrimonial law, wills and probate, defamation, administrative law, criminal law and election petitions. Gloria is also familiar with mediation and its process having been involved with several successful mediations recently, she is currently undergoing skills training in respect of alternative dispute resolution (ADR) and hopes to become accredited as a mediator to meet the demand for local mediators as the Courts shift its focus from the adversarial system to an outcome based system.